Congratulations and a big thanks to all the St-Lawrence Club members and friends who attended and participated in the Fall 2011 Toastmasters District Conference that was held in Gatineau, Québec on November 18 to 20, 2011. 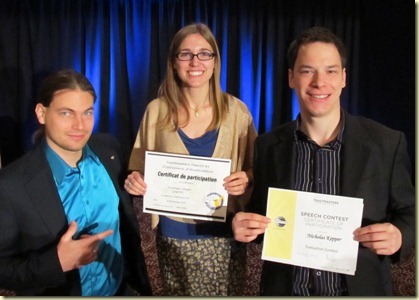 Mathieu Savage competed in the French humorous contest and came in third place. 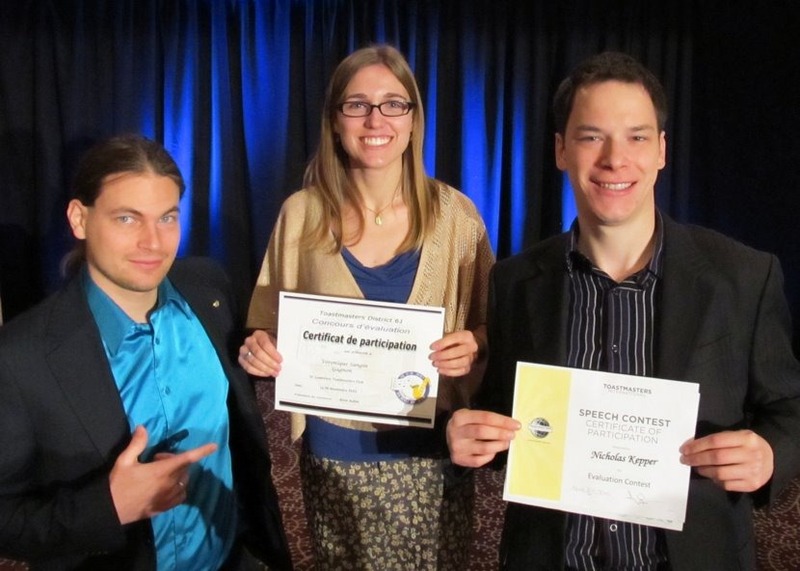 Véronique Sangin-Gagnon competed in the French evaluation contest and gave a great performance, as did Nicholas Kepper who competed in the English evaluation contest..
Other club members were also there to help make the weekend a fun experience through their involvement. Alex Chan gave the toast at the Communication & Leadership Award Lunch. Pietro di Benedetto was Master of Ceremonies for the Saturday evening banquet. And best of all, Alena Motorina, Marie-Paule Gagnon, Rosie (Pietro’s special other) and Charles Cron (who came with his family) were also present to help encourage everyone. The next district conference will be held at the Château Vaudreuil on April 27 to 29, 2012. 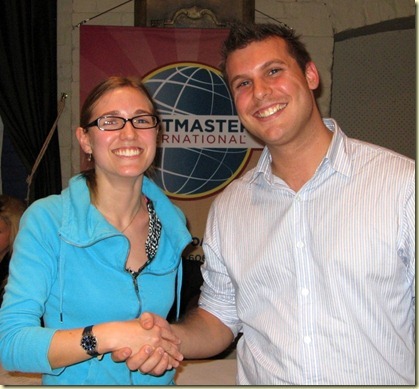 All the details can be found at the Toastmasters District 61 Spring Conference website. 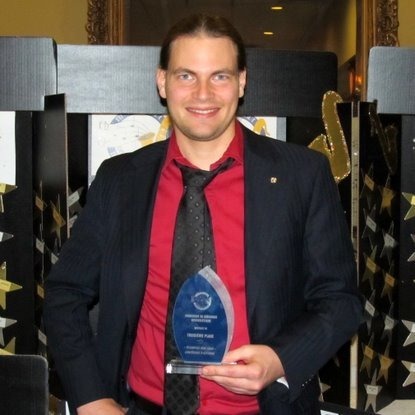 Un chaleureux accueil à Tobi, qui se joint au Club St-Lawrence Toastmasters. Tobi est déjà très à l’aise à s’exprimer en public, et aimerait pousser plus loin ses compétences d’orateur. Il est convaincu qu’il sera en mesure de rencontrer ses objectifs dans notre club.